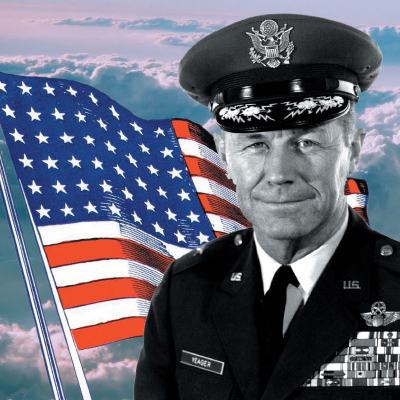 The first time Captain Chuck Yeager saw an aeroplane, he was already eighteen years old. It was the grandest invention of his generation and everyone who could afford a college education wanted to be a pilot. The glamour that came with parading through airports in a pilot’s uniform was also far too infectious to pass off. Alas, Chuck Yeager came from a poor family. While he too dreamed of flying through the skies, he could only work as an aircraft mechanic. He often went home with greasy hands and a uniform stained with black jet fuel. However, fate had it that the second world war would open the right doors for Yeager to leave the greasy mechanic’s workshop behind for flying school. Before he knew it, he was one of the best pilots, and given the honour of serving in the U.S. Air Force. During the war, it was repeatedly demonstrated that bullets were moving faster than the speed of sound. So, when the war drew closer to its triumphant end, many scientists were fascinated to see if they could also fly faster than sound. The ambitious flight experiments took Captain Chuck Yeager out to the driest desert in North America – the Mojave Desert. Instead of fighting enemy war planes, he was now tasked with attempting to battle against the speed of sound itself. The first two experiments were humbling for everyone involved in the experiment. It was as if there was an invisible wall blocking the rocketfuelled Bell X-1 aircraft from flying any faster. Everyone knew this to be the ‘sound barrier’. It was an invincible blockade that simply held the rocket-fuelled plane back from flying any faster than it could. Yeager grasped what the scientists already knew rather quickly. He was told that sound travelled at a whopping 345 meters per second in air. Although this speed decreased as he flew higher, it was still a challenge for his aircraft to beat it. The scientists explained that the air outside the aeroplane also gets much colder as he flies higher – a good enough reason to keep his airplane windows sealed tightly! Yeager also understood that the aircraft’s nose was pushing air out of its way, making sound waves as it moved across the cloudless dessert skies. Accelerating the aircraft closer to the speed of sound produced the deafening noise which quickly convinced him to dump the aircraft’s fuel, turn off the engines and abort the mission.